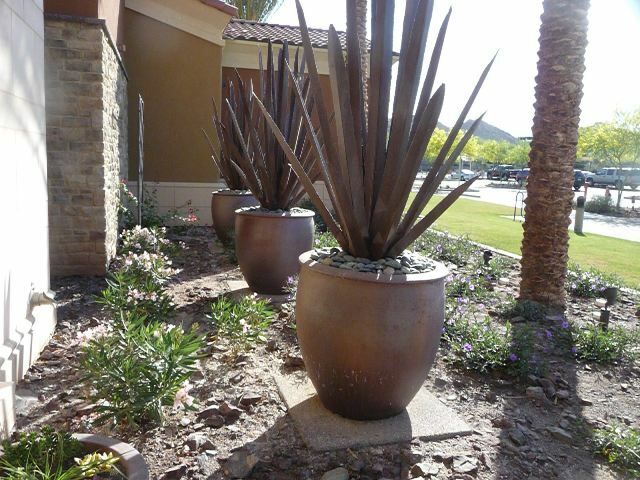 I was out at CantaMia in the Estrella Community in Goodyear Arizona. I was actually taking renewal real estate classes but at the same time took a tour of the area including the CantaMia Village Center and some of the model homes. I would have loved to have been a designer and love to view artwork, color and design, but I know my taste would not be everyone’s and most people wouldn’t want flamingos dancing across their bathroom wall or such. So, I am not a designer and stick to real estate which is really what I know best; but who doesn’t love checking out the designs of the model homes. One of the best perks of being a Realtor® is seeing the latest trends in home decor. This first photo is the entrance area of the Village Center in CantaMia and I will have other photos showcasing the inside areas in another post. For this post, I am sticking with the exterior areas including the lake view from the rear patio, fountains and pool. 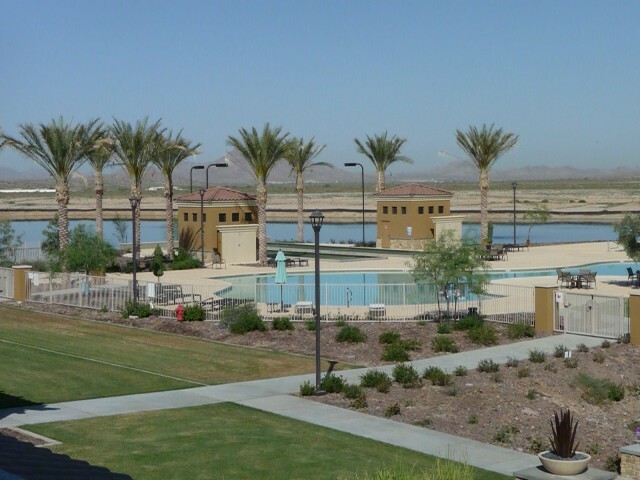 You will also have to check out the desert vistas and mountain views in the distance in this community. It was so peaceful in the Estrella Community away from the city traffic and noise. 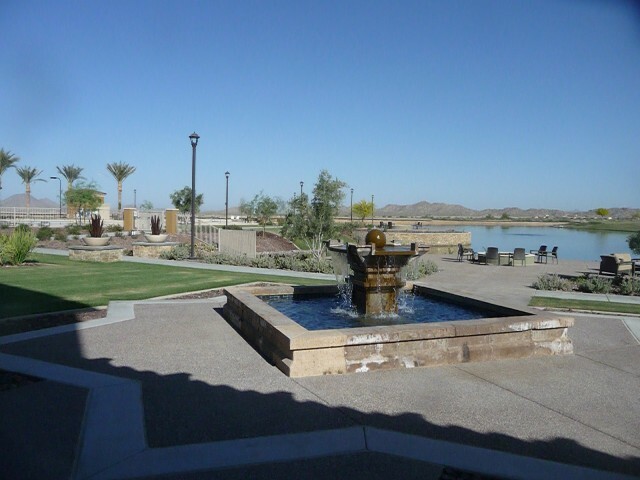 This is right outside the rear patio of the main area of the CantaMia Village Center with it’s gorgeous views, the running fountain and in the distance you will see several of the firepits set up for having a fire at night overlooking the lake. This next photo is the pool area. I believe I took this photo when I was on the way to view the model homes and it shows how neatly the grounds area is kept. There were not a lot of people around on the trip to the model homes but on the way back to the CantaMia Village Center there were several people lounging around the pool. Can you imagine living in this community year round. It’s like living in a luxury resort year round.